Josephine Nguyen, a sixth grade student from Philadelphia, won the nationwide First in Math competition three years in a row. First in Math is a website for K-8 students that uses engaging games to promote learning and solidifying math skills. Nguyen, whose family did not own a computer until 3 years ago, enjoyed playing on the First in Math at school and in the public library. She was the youngest winner ever when she won in fourth grade. Her three championships in a row is an unprecedented feat. To read more about Nguyen, click here. To access First in Math, click here. As the fight for the Stanley Cup continues in the National Hockey League, spectators might wonder about the strategy of the game. Samantha Key, a mathematics major at Penn State Erie, proposes that teams have the best chance of winning (79.4%), if they score first, but not until the third period. 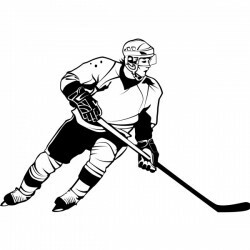 Click here to find out how applied math sheds light on hockey!